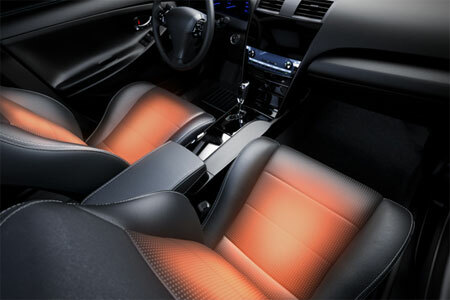 The Seat Heater elements are paper-thin, and install between the seat cover material and the seat cushion. They are fully water-resistant (not waterproof) and pose NO problem with damp winter cloths, spilled beverages, or wet pets! They are NOT visible and do not detract from the finish or look of your vehicle’s factory upholstery.